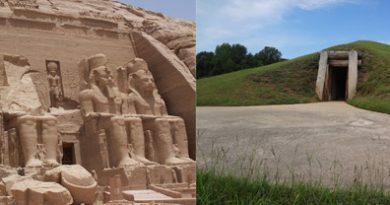 Enormous 8-story earthen pyramids, gigantic bird-shaped rock mounds, & mysterious marble statues were created in Georgia for over 4,000 years. Learn more about the accomplishments of Georgia’s Native Americans through videos, Quicktime VR, 3D computer reconstructions and more. Winner of Georgia Historical Society’s Roger K. Warlick Local History Achievement Award! 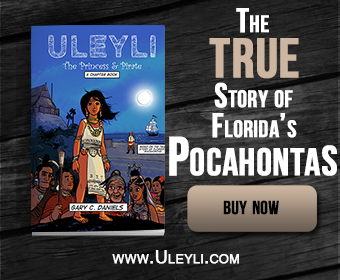 A comprehensive guide to Native American festivals, Powwows, and other events in Georgia that preserve Native American art, culture, music & history. 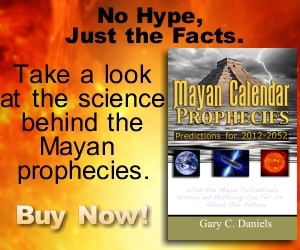 Includes videos for select events including the Ocmulgee Indian Festival & Rossville Powwow. Click here. A comprehensive guide to museums, archaeological sites, state parks and other locations in Georgia that preserve Native American art, culture, music & history. Click here. 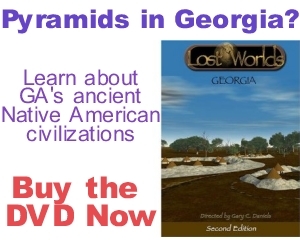 A comprehensive guide to Native American history in Georgia both before an during the English settlement of the state. 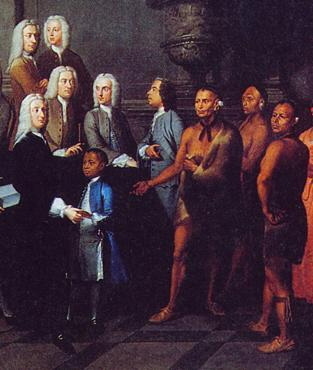 Includes Indigenous Chiefdoms of Georgia, European Exploration in Georgia, English Conquest in Georgia, Dawn of Oglethorpe’s Georgia, Spanish Archival Sources, & Colonial Paleography. Click here.